NuSmile, the world leader in pediatric restorative dentistry, delivers the only affordable MTA specifically optimized for pediatric dentistry. 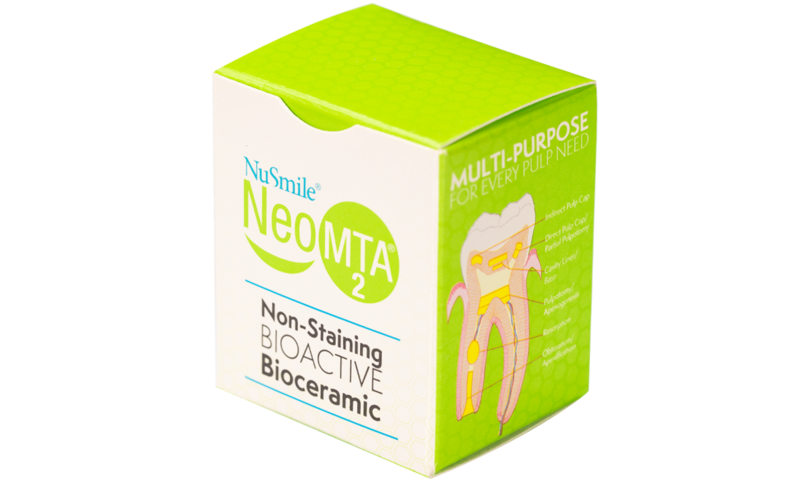 NuSmile NeoMTATM is the ideal treatment for pulpotomies, direct and indirect pulp capping, and apexification. It is quickly wash-out resistant, non-staining and has excellent handling properties. BioActive and non-toxic, NuSmile NeoMTA delivers peace of mind that formocresol may not provide. The affordable MTA from the world leader in pediatric restorative dentistry. are not the same as pure MTAs.